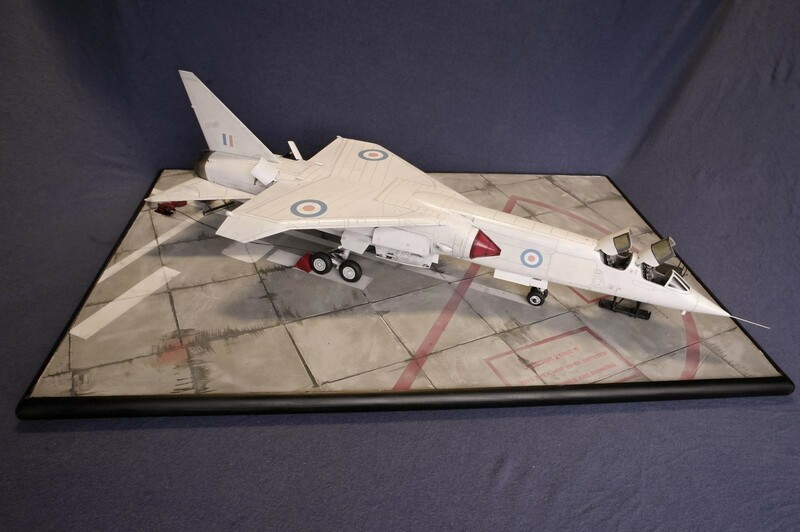 This my last finished project of a beautiful aircraft. This kit is very big,size desk under it is 60x40cm. 🙂 But i am very happy, than i have it at home. 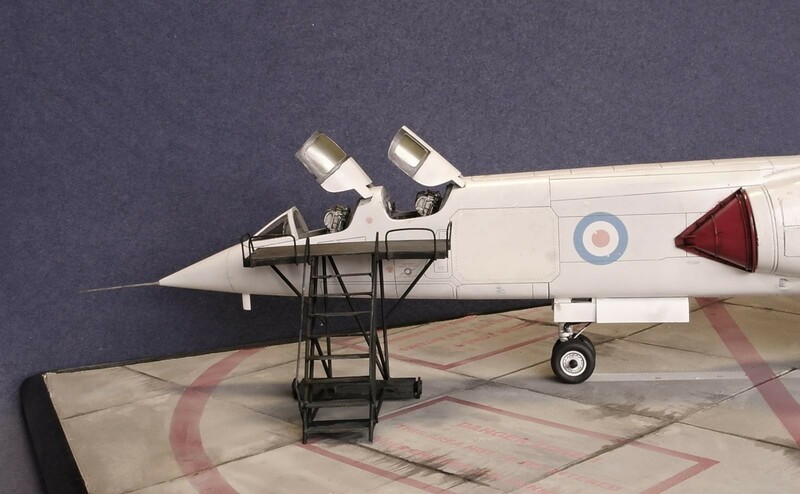 The British Aircraft Corporation TSR-2 was a cancelled Cold War strike and reconnaissance aircraft developed by the British Aircraft Corporation (BAC) for the Royal Air Force (RAF) in the late 1950s and early 1960s. 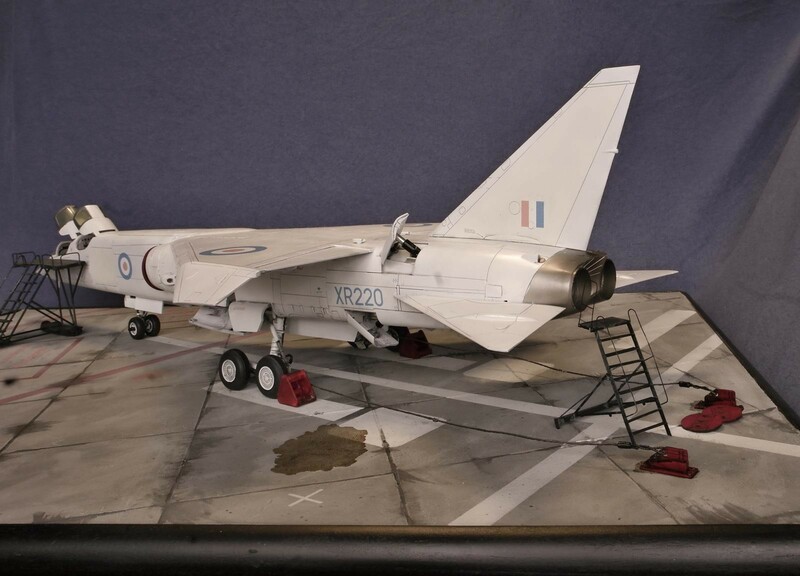 The TSR-2 was designed to penetrate a well-defended forward battle area at low altitudes and very high speeds, and then attack high-value targets in the rear with nuclear or conventional weapons. 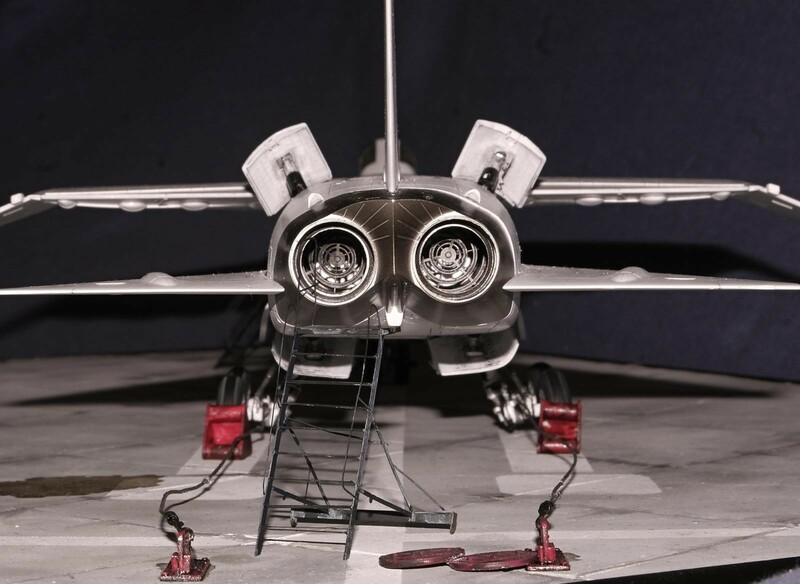 Another intended combat role was to provide high-altitude, high-speed stand-off, side-looking radar and photographic imagery and signals intelligence, aerial reconnaissance. 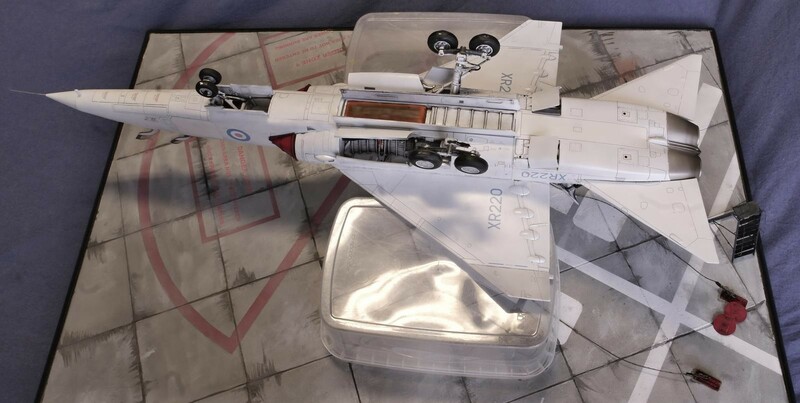 Excellent build of a very impressive plane! Well done, Josef! Damn good build! Those afterburners are a work of art. The base on its own is very well done with the oil splashes. 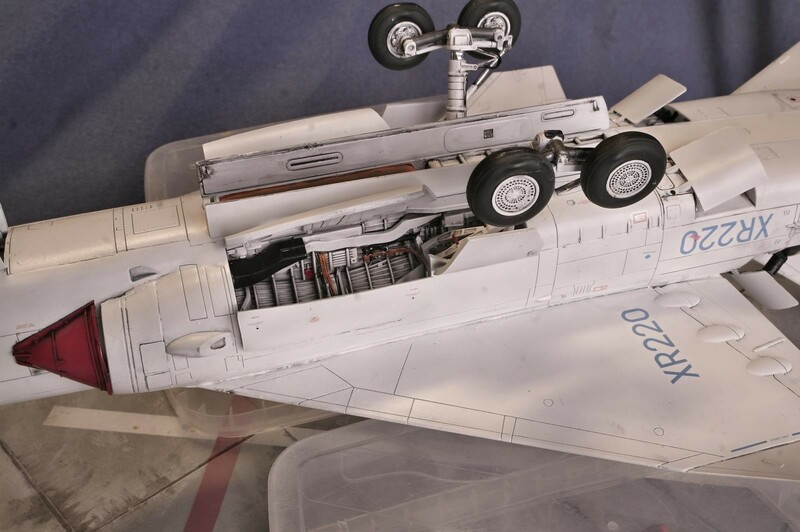 The weathered base contrasts well against the clean white aircraft. Well done! Fantastic build, looks real fast. Great job. Lovely work Josef, great build and the base and stands provide the right context! Josef, this is a great work! 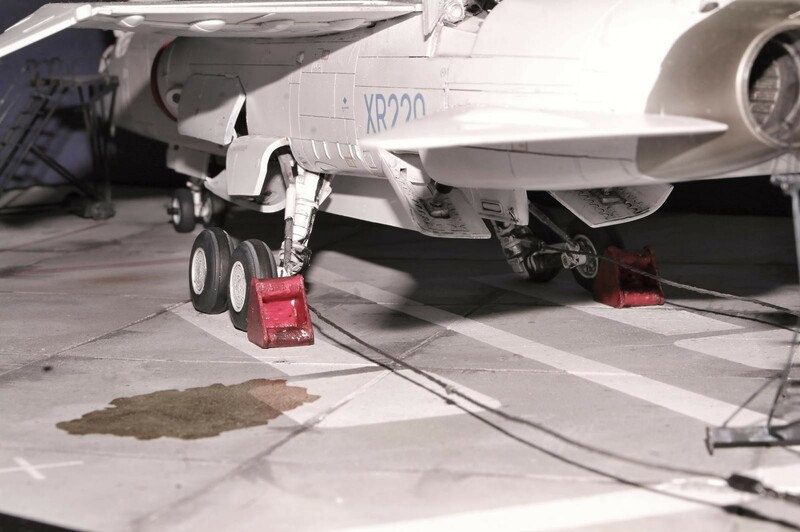 Like Matthew said, the worn & weathered base looks great under the clean aircraft. These planes look like they’re doing 600 kmh sitting still on the tarmac, they’re so sleek! This model looks very professional. I have to admit, never interested in this particular aircraft. 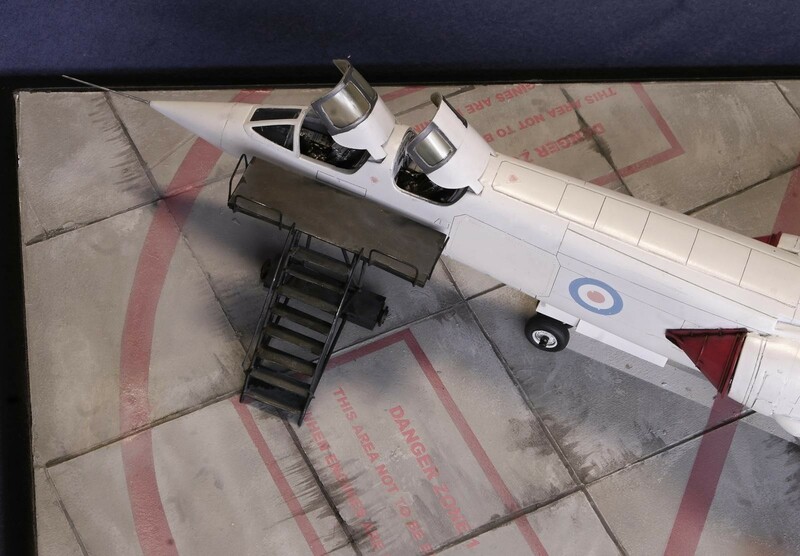 But seeing it finished I have to admit it is a very impressive aircraft. Highest Regards, Dirk / The Netherlands. Great work! nice ground equipment and base too! A lot has been said Josef so I won’t add much more to all of these lovely comments, I just think this is magnificent. 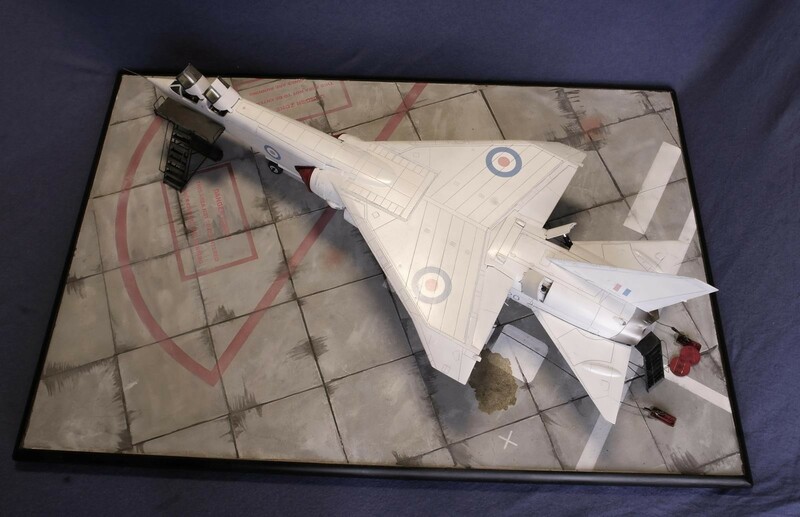 A really stunning rendition of one of the greatest planes never to get operational. Beautiful! A friend of mine who doesn’t use forums is currently building a 303 squadron Hurricane and František’s Spitfire from the BoB. Both Tamiya Mk1’s – he beat me to the project!!! 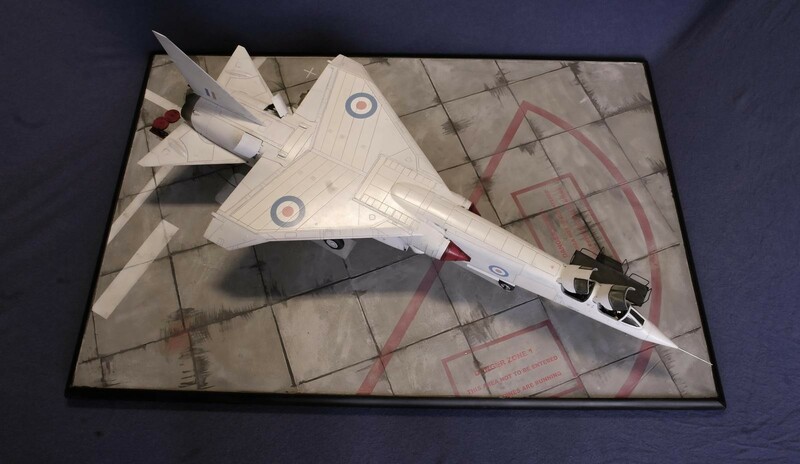 Great looking model, and finished off nicely, especially with the base. An unusual-looking aircraft to me. Your effort does it justice! Looks great with the base and extra details, very nice!